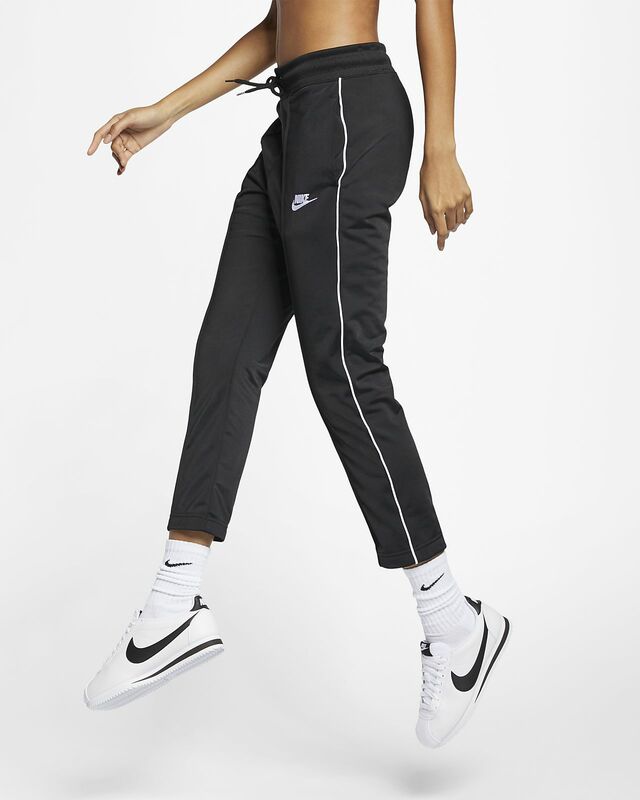 The Nike Sportswear Heritage Pants are perfect for staying in or rocking out. Built with soft knit fabric and side piping for added flavor, they're ideal for pairing with your favorite footwear. The Nike Sportswear Heritage Pants are perfect for staying in or rocking out. Built with soft knit fabric and side piping for added flavor, they&apos;re ideal for pairing with your favorite footwear. Piping along the sides adds flavor. Pin tucks create a flattering look down the front legs. Cropped design hits just above your ankles. Im 5'4 and 123lbs and always wear a size small. However, I needed these pants in a size medium for them to look flattering. They fit tight in the hip and thigh area. beside that they are super duper cute!